Cardpool Review: Legit or Scam? UPDATE: Cardpool is offering $5 off your 1st order when you sign up with Cardpool and use code NewUser5 at check out, limited time only. Note this is only for new members. Cardpool as a number of $10 gift cards available to purchase, when you apply this promotional coupon you will get 50% off! In case you were wondering, Cardpool is definitely legit. Since 2009 Cardpool.com has allowed people to buy or sell gift cards in one of the largest gift card exchanges on the internet. Unlike other gift card exchanges, Cardpool buys gift cards directly from you, allowing them to verify the balance and authenticity of the card. The company then holds it until someone wishes to purchase it. If you’re looking to sell gift cards, Cardpool purchases them at up to 92% of their value and sends out payments within 24 hours of receiving the gift card. Those of you looking to buy cards will have a huge selection to choose from with options available at up to 35% off. All gift cards are shipped USPS first class and arrive within 3-7 days. 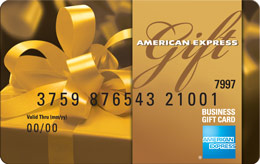 Electronic gift cards will be emailed within 24 hours of purchase. The best thing about Cardpool.com is that they do not charge any taxes, fees, or shipping costs, so the advertised price of the card is the only price you pay. Efficient Platform: Cardpool buys directly from users so you don’t have to deal with any third party companies. This makes the process of verifying your gift card balance quick and easy. Seller Protection: Cardpool pays within 1 business day of receiving the gift cards and approval by their fraud and verification departments even if they never find a buyer for the card. 100 Day Purchase Guarantee: If you are not satisfied with your Cardpool purchase for any reason, you may return your unused gift card for a full refund within 100 days of your purchase. If you purchase any gift card from Cardpool, they guarantee it will be valid at the merchant and to the dollar amount specified on your order. Fast Delivery: All gift cards are shipped USPS first class and arrive within 3-7 days. Electronic gift cards will be emailed within 24 hours of purchase. No Extra Costs: You never have to worry about taxes, fees, or shipping costs because the advertised price of the card is the only price you pay. Cardpool is a great platform for gift card buyers and sellers. The site handles of all of the transactions themselves so you can enjoy a fast and convenient experience. With thousands of different gift card options, you are definitely going to find the one store you’re looking for. And if you aren’t happy, you have 100 days to receive a full refund on your purchase! See our full listing of Discounted Gift Card Deals!